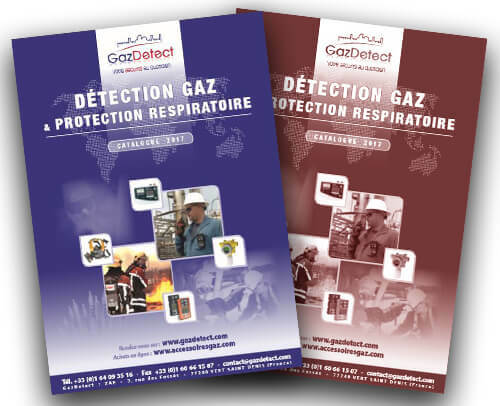 This page presents information about hydrogen fluoride – or hydrofluoric acid – (HF), appropriate detection means – Hydrogen fluoride gas detector – and respiratory protective equipment (gas mask or powered air purifying respirator with E-P3 combined filter). 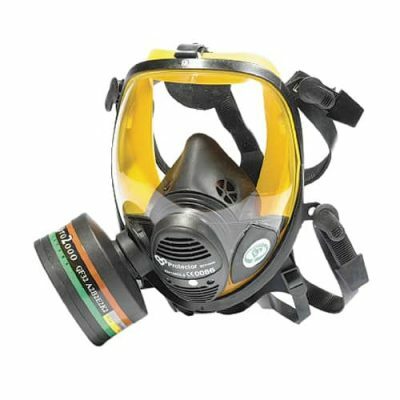 Hydrogen fluoride (HF) – also known as hydrofluoric acid – can be found in its gaseous form or under its liquid state at ambient temperature. It is mainly used in the petrochemical industry as an alkylation catalyst but also in the pharmaceutical industry (pharmaceutical products synthesis), on construction sites (building facade cleaning) and in surface treatment (pickling) or uranium treatment. 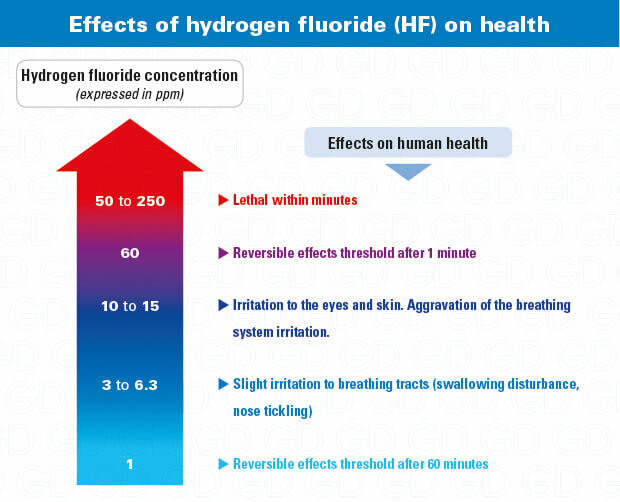 Hydrogen fluoride (HF) is a colorless gas featuring a pungent smell. 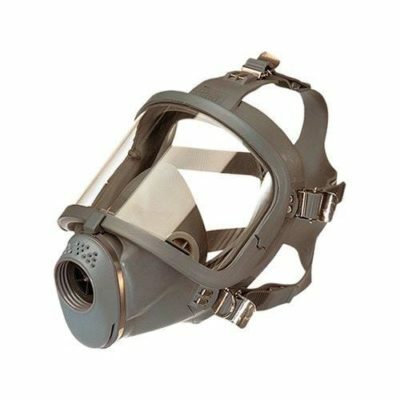 This gas is very toxic by inhalation (R26), if swallowed (R28) or in contact with the skin (R27). 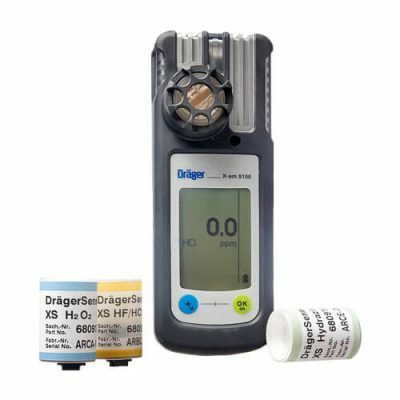 It reacts with water to form hydrofluoric acid, which is very corrosive and extremely dangerous for the environment – it changes water pH. 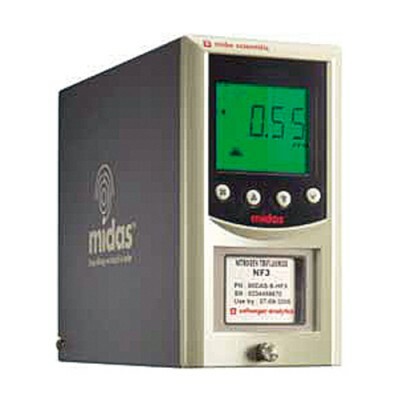 Even if this gas is not flammable, it reacts with almost any metal in presence of humidity and produce hydrogen (H2) – and highly flammable gas. 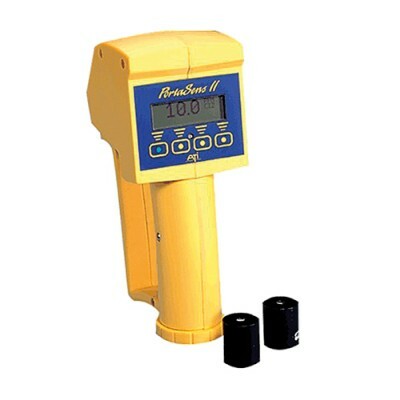 Hydrogen fluoride is detectable through smell, however only an HF gas detector can accurately measure concentrations of this extremely toxic gas. 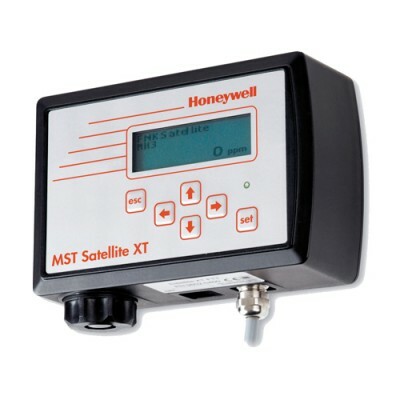 It is recommended to use a fixed or portable ppm hydrogen fluoride gas detection system. 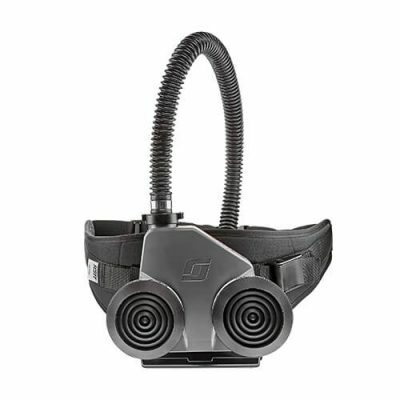 As hydrogen fluoride is irritant to the eyes, it is advised to use a full face mask for short interventions or a full powered air respirator equipped with an E-P3 combined filter. 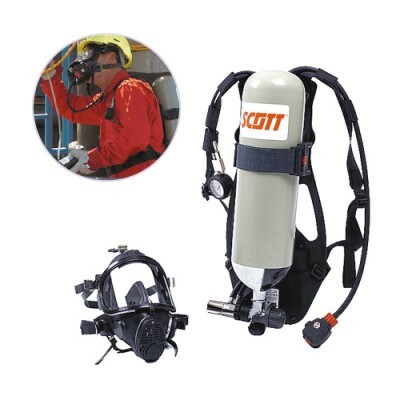 If concentrations exceed 60 times the OEL, a self-contained breathing apparatus (SCBA) is required.